BP Portrait Award 2017 Edinburgh, Scotland,UK. Edinburgh, Scotland, United Kingdom. 14 December, 2017. 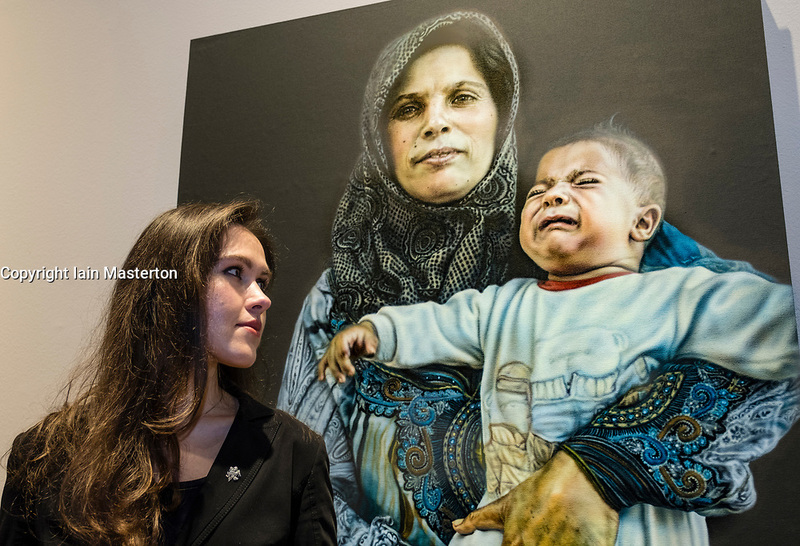 Artist Laura Guoke poses beside her painting Portraits from the Ritsona Refugee Camp at The BP Portrait Award 2017 which opens at the Scottish National Portrait Gallery on 16 December 2017.